Some days are just made for a jello shot. You know, party days. Or just days that you don’t want to adult anymore. You know. Those days. And, when those days happen to coincide with Halloween? And it’s still hot in Texas? 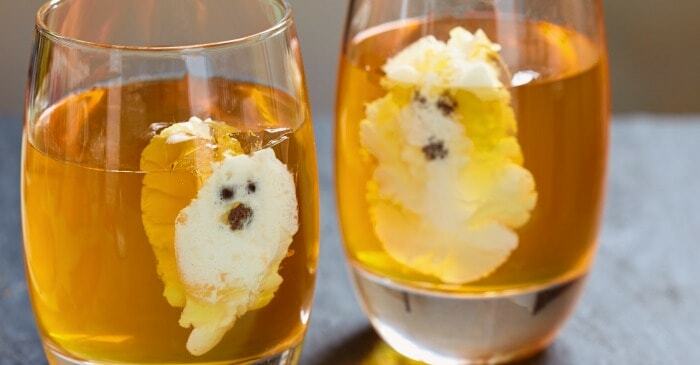 Well, you just have to go with a batch of Ghostly Long Island Iced Tea Jello Shots. Heh. Let’s be really clear, though. These are NOT actual ghosts. Nope. 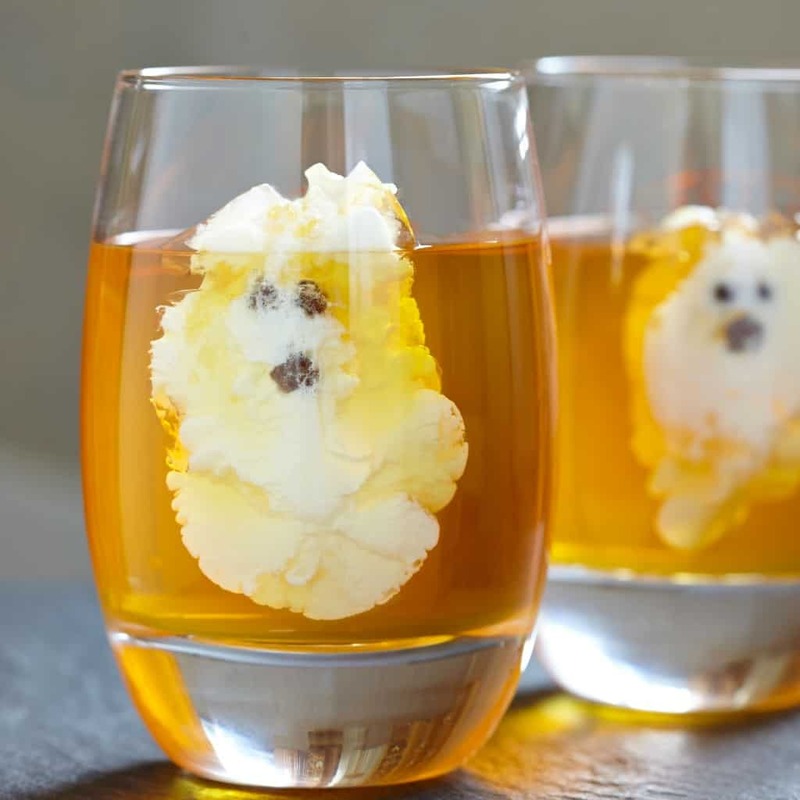 I want to make sure you understand that, because, I can see where it might be daunting to other people to try to pull together the equipment necessary to catch a ghost–and all that just to stash it in ONE of these Ghostly Long Island Iced Tea Jello Shots? Clearly, you’d have to be a professional Ghostbuster to pull that off. Heh. But, I guess if you are a professional Ghostbuster…No, probably best to just make your Ghostly Long Island Iced Tea Jello Shots just like I wrote in the recipe. Because, otherwise, you’re just in for a possession–then the inevitable exorcism. Totally not worth it for some yummy jello shots. Well, maybe….heh. 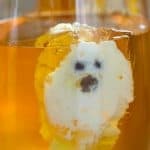 So, since you totally have a Halloween party planned in just a little while, you need to pin this recipe for Ghostly Long Island Iced Tea Jello Shots. You know you do. Heh. Halloween? And it's still hot in Texas? 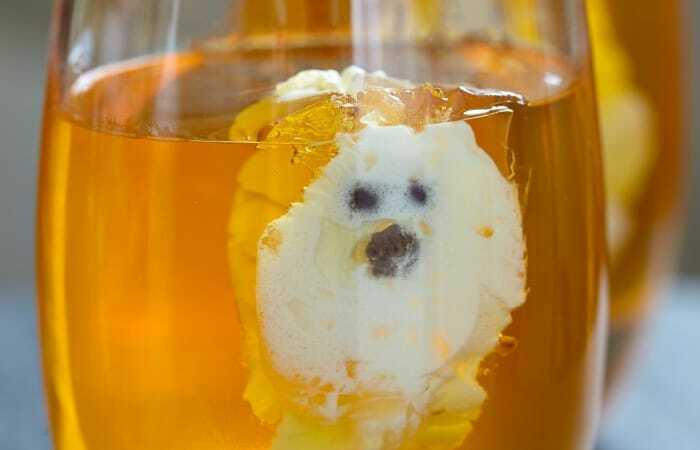 Well, you just have to go with a batch of Ghostly Long Island Iced Tea Jello Shots. Heh. Make your jello per the box directions, but instead of cold water, add all the alcohol, soda and simple syrup. Pour into your shot glasses, about 3/4 full. Place in the fridge for about 2 hours (or whatever the direction say. While that is chilling, whip the cream from from the can of coconut milk (to get just the cream, turn the can upside down and open it, then pour off the water and scoop the cream out). Add the powdered sugar and whip until the mixture is light and fluffy. Put the mixture in a piping bag or a ziplock and place in the refrigerator for 10 minutes. Remove jello from the refrigerator. Using a small spoon, scoop out a small portion (1/8 to 1/4 of the shot) of the jello and discard (just kidding, eat it) from the side of each shot, being sure to get as much off the glass as possible. Using the food-safe marker, doodle eyes and a mouth on the side of the glass. Give that moment to dry. Pipe the coconut cream mixture into the hole.